Location : Right behind you... LOOK OUT!! Hmm... interesting. Its possible, but we are already gonna have some trouble keeping up with the whole 4 people per quests. And we dont really have enough members quite yet for this many classifications. How would the different groups interact? MH has never really been known for PVP, and it would be pretty difficult to include. Tobakado and merrow discussed this in RL. If such a disadvantage occurs call god-modding and kick him out of the topic. But it wouldnt necessarily be G-Modding. The weapons were created to be faster and score more hits at the expence of lesser damage. A hammer (or horn, god forbid) could only score three hits to a longsword's six. The DPS would be the same generally, as the hammer/horn typically has at least 2X the raw damage of a LS. But in PVP, when almost every hit causes a stumble, the slower weapon users would get stun-locked. Its not G-modding because it's reality. And the reality is Monster Hunter didnt balance the weapons to be geared towards PvP, only PvE. Thats why monsters only stunble after taking an amount of damage, not hits, to an area before that area gives way. That way the weapons are still balanced. i understand that... but I am trying to realistic here, but humans can think and reason, allowing them to shrug off pain, so the heavy hitters can tank the damage out. You'd have to be a beast to "Shrug Off" a long sword stabbing you just so you could hit them. 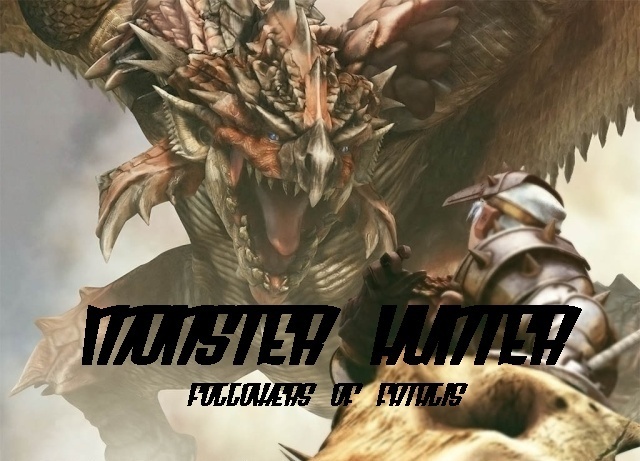 I really want to PvP too, but with how MH tries to make the game as realistic as possible, I dont see two regular humans (no matter how much armor) taking a large number of hits from weapons created to kill wyverns. Just seems like it would hurt too much. Dodging is a hunter's best friend. Team PvP would be crazy. There'd be so many posters that it would become difficult to keep up with everything going on. I can see it now: "Jim swings his great sword" "Jack dodges. Jack returns the attack with one from his Longsword." "Jim dodges"
Boooooring. And you cant call it G-Modding because there's no Speed values to the attacks or dodges. Besides, Range'd still win. "Jack is standing on top of the rock." "Jim sees jack and starts to climb the rock." "Jack shoots Jim off the rock since Jim cant dodge while climbing." /thread, lol. Gun Lances would win, they can block and shoot, no one could touch them. OR BOws and Bowguns they could just run the whole time and shoot. we should do a test pvp thread to figure out the rules we need to put in place. Who all do you want in on it? 1v1 or team? i want to use maya for this so i'll put up the PvP test in castle schrade. rick if you want to join i'll allow you to mod your characters equipment for that topic ONLY, and nothing that requires elder dragon stuff k? I am speaking for xyron, since he isn't active and yet he poses some good points. personally i agree with you.